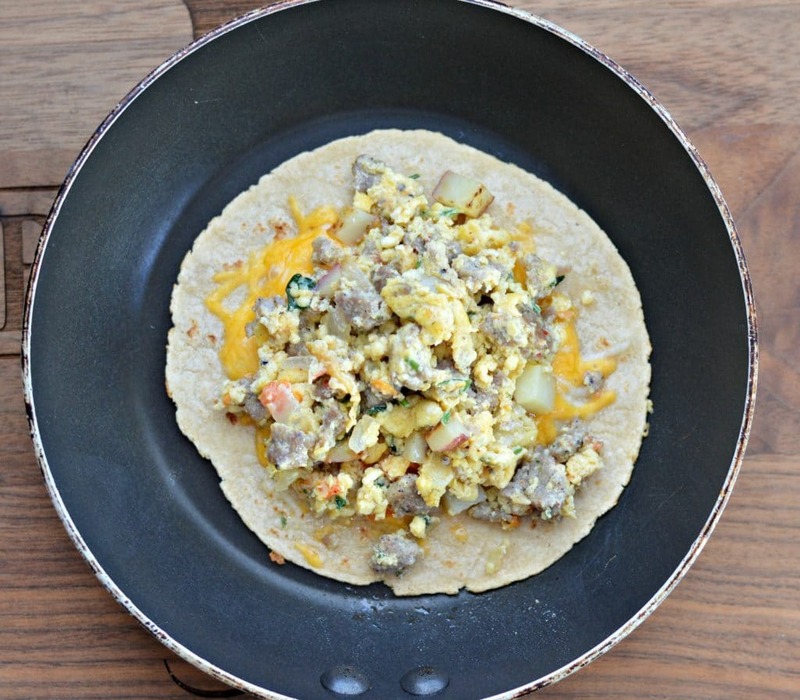 I am excited to be working with Smithfield to bring you this delicious recipe for Tex-Mex Breakfast Tacos featuring Smithfield Breakfast Sausage. Keep reading to find out more! I love breakfast, but sometimes I don’t love eating breakfast early in the morning! Growing up in Mexico, breakfast is kind of a big deal – it is actually one of the biggest meals of the day. You will often find delicious Mexican style eggs, homemade salsa, and always lots of freshly made tortillas. I remember always looking forward to having a tasty, large breakfast every day. Now fast forward 7 years and 3 kids to the present, and sometimes it is not easy to have a big breakfast every morning. More often then not I find myself having something small to eat while I am serving my kids, and then eating something bigger a few hours later. As a result, I am now a pretty big fan of brunch! Now, just because I am eating brunch a few hours later, doesn’t mean that it can’t be just as good as when I was growing up, right? 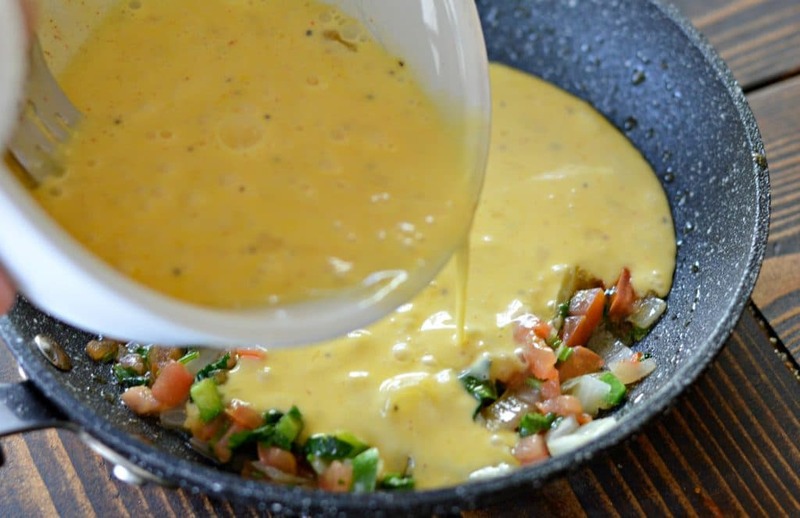 That is why I am so glad that there are so many great breakfast products that I can use to recreate similar breakfast recipes to what I used to eat in Mexico. 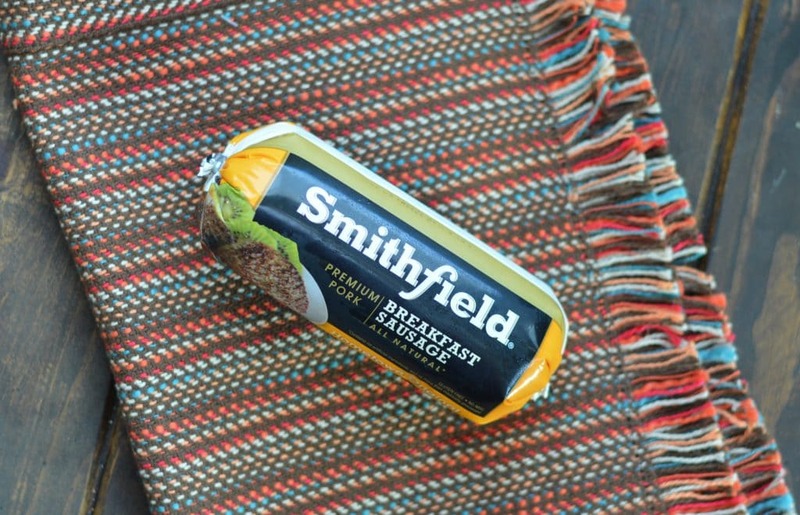 One of my favorites is Smithfield Breakfast Sausage. It comes in great flavors such as maple, bacon, and hometown original and you can get it as a roll, in links, or patties. I only like to use high quality products, and Smithfield fits the bill – it is made with only premium quality pork and is gluten free. In addition to the sausage, Smithfield has lots of other great products that are perfect for brunch like bacon, spiral sliced ham, and more! Usually in Mexico we use chorizo (a spicy sausage) for breakfast to go along with the eggs and potatoes, but I decided to use Smithfield Breakfast Sausage for today’s recipe. 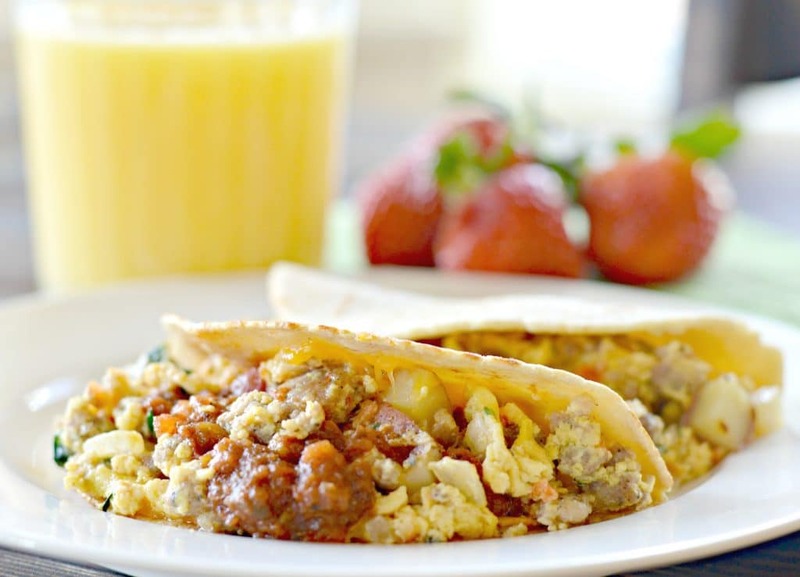 These breakfast tacos combine my favorite tastes from Mexico – Mexican style eggs, fresh salsa, and tortillas, with some of my new favorites from the USA – Smithfield Breakfast Sausage and roasted garlic potatoes. The Mexican style eggs are basically scrambled eggs with tomatoes, onions, jalapenos, and cilantro. These are often just served with salsa and tortillas on the side, but I decided to combine them in these breakfast tacos to mix things up a bit. For the potatoes, I used red potatoes and cut them up into small cubes before cooking them with a little bit of olive oil, garlic, fresh parsley, salt, and pepper until they were nice and crispy. After the eggs and potatoes are done, all you need to do is brown the Smithfield Breakfast Sausage, and add it to the eggs together with the potatoes. I like to use homemade tortillas, but if you are in a hurry you can use store bought. If you do, make sure you heat them in a skillet for about 30 seconds on each side until they get nice and warm and a little bit crispy. Next you will add the cheese and the potato, egg, and sausage mixture. Finally, serve the tacos with freshly made salsa and enjoy! I hope that you find these Tex-Mex Breakfast Tacos as yummy as I do – let me know in the comments below! 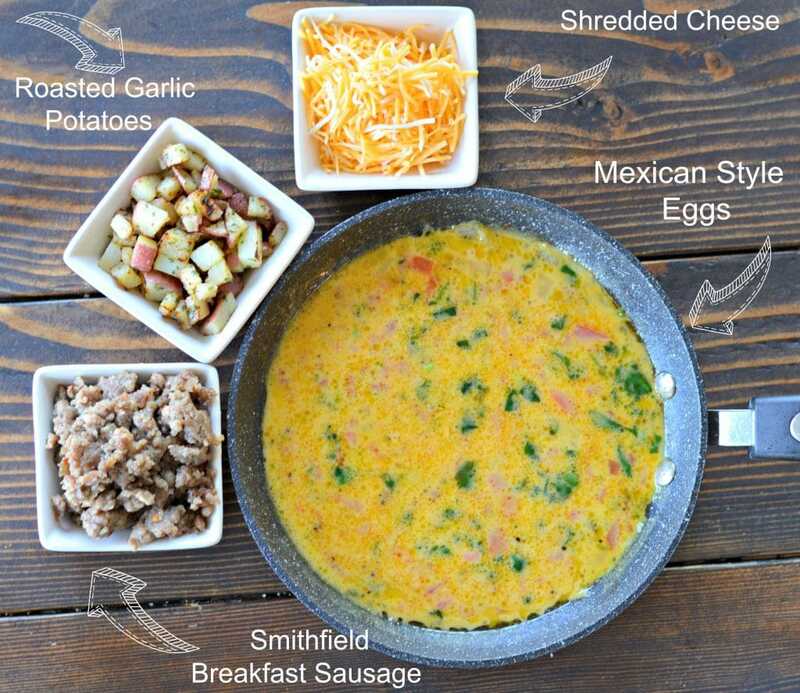 For more great recipes using Smithfield brand products, go to smithfield.com. 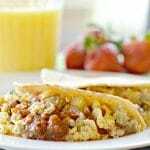 Tex-Mex Breakfast Tacos Recipe is a great fusion of Mexican Food and American Food. 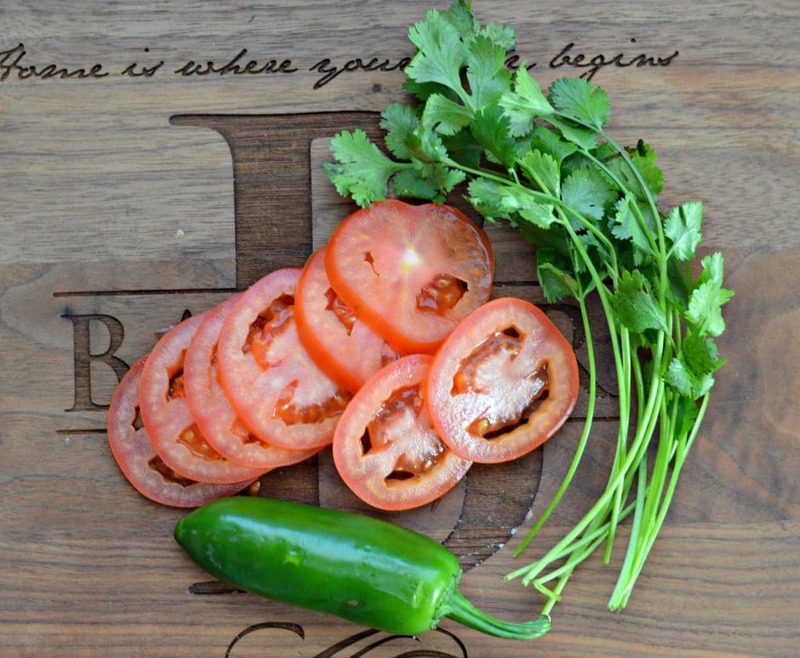 Chop up the tomatoes, jalapenos, onions, and cilantro and saute them with a small amount of olive oil. Add the beaten eggs and scramble, set aside. Cook the Smithfield Breakfast Sausage per package instructions. 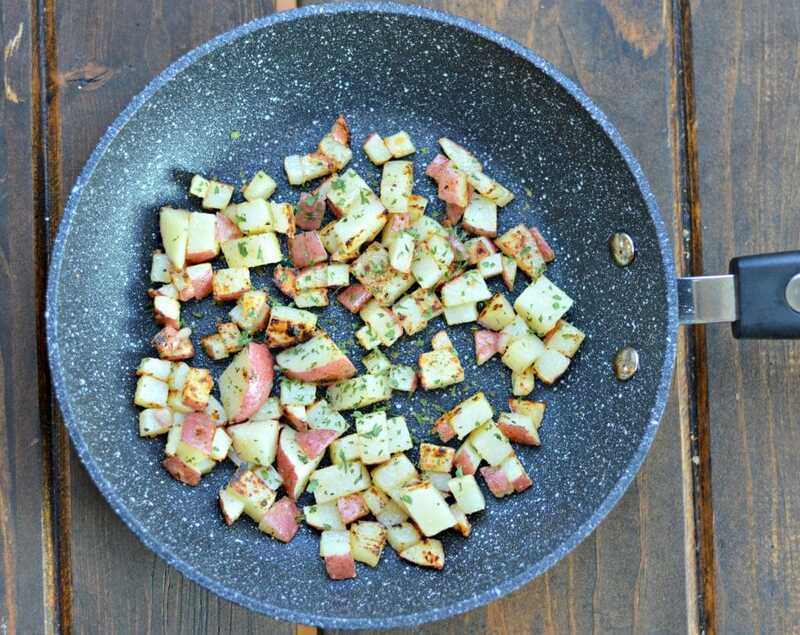 Chop the potatoes into small cubes and cook with a little bit of olive oil, chopped garlic, salt and pepper until they are slightly crispy - top with parsley. Combine the potatoes, eggs, and sausage and mix well. 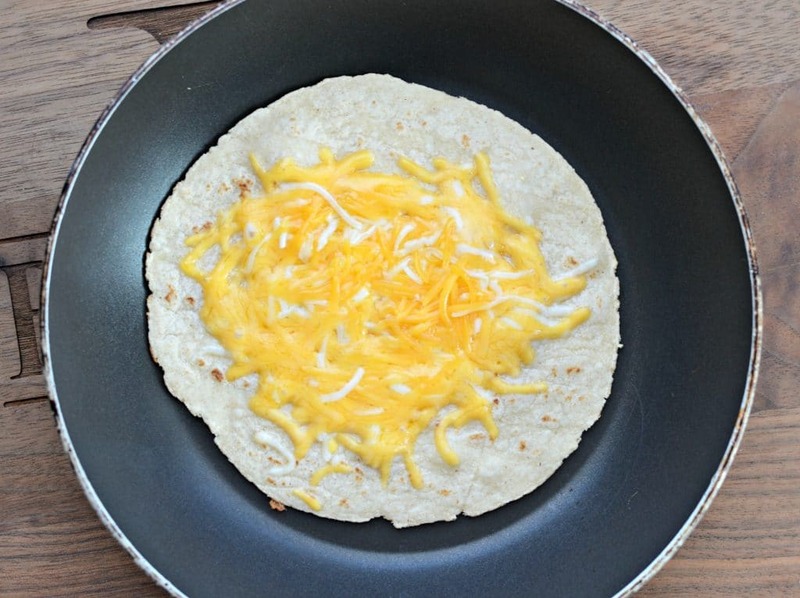 Heat the tortilla in a frying pan and add the shredded cheese. Add the above mixture and serve with fresh salsa.